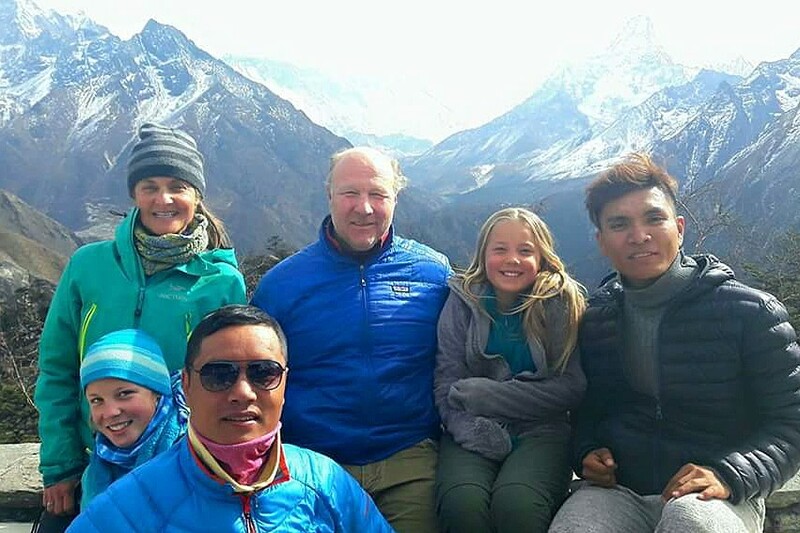 Guides are responsible for your safety and fun while traveling in Nepal, whether you’re trekking in the mountains, exploring the city, enjoying a wildlife safari in the jungle, or rafting on a fast-flowing river. Yet many travelers may not realize how a guide can make or break your trip. From safety to social and cultural benefits, there are many reasons to hire a guide rather than travel or trek on your own in Nepal. Even if you’re someone who prefers independent travel, hiring a guide doesn’t necessarily mean you’re joining a group tour (unless that’s what you’re looking for); guides can enhance select experiences on your own custom journey, be it mountain biking, trekking, or cultural immersion. 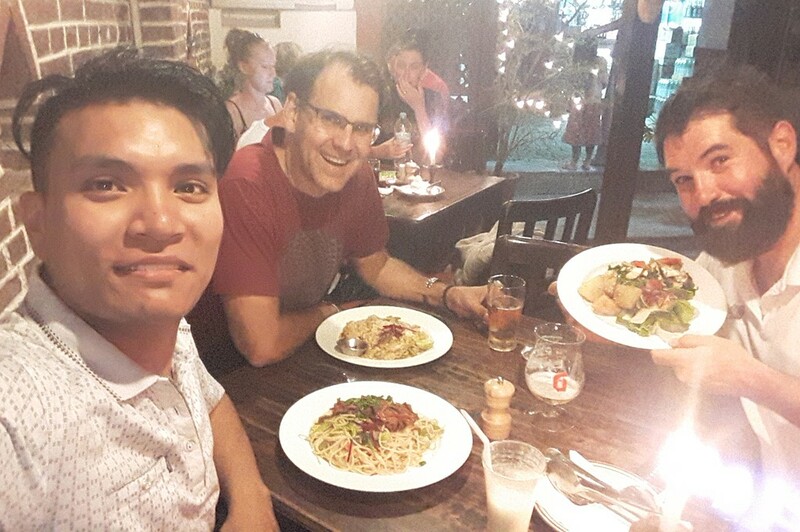 Why hire a local guide? Your guide is someone with a wealth of knowledge and expertise to share, be it in the form of personal stories or identifying indigenous flora and fauna. A local guide knows the ins and outs of historic sites and trekking trails (even those that aren’t clearly marked), can translate conversations, and is key in helping you ingratiate yourself with the locals, be they Sherpa, Newar, Gurung, or another of Nepal’s many ethnic groups. By hiring a guide, you’re providing a job—and when local guides are well paid, they often give back to their communities, boosting the overall development of the country. The confidence that someone is looking out for your best interest and is always one step ahead brings invaluable peace of mind, and allows you to truly enjoy your trip. In terms of trekking, local guides are especially important in Nepal, where you’re trekking in places with high passes and safety risks requiring expert decision-making and possible evacuation. Bonus: you’ll make a friend for life in Nepal! 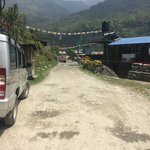 Nepal has culture and tour guides, trekking guides, yoga-trekking guides, peak climbing guides, birding guides, safari guides, rafting guides, kayaking guides, paragliding guides/instructors, and mountain biking guides. Of these, there are guides with different areas of expertise and linguistic skills. Regardless of the activities you'll be doing together, a great guide should have certain qualities. The ideal guide is passionate about guiding, compassionate toward others, and makes every traveler feel comfortable and confident. They should be environmentally conscious, flexible and open to changing your itinerary if necessary, well-trained in emergency protocol, and filled with great stories and expertise to share. All guides must be licensed by a government organization called the National Academy for Tourism and Hotel Management (NATHM). They receive practical and theoretical training sessions run by respective tourism and health experts. 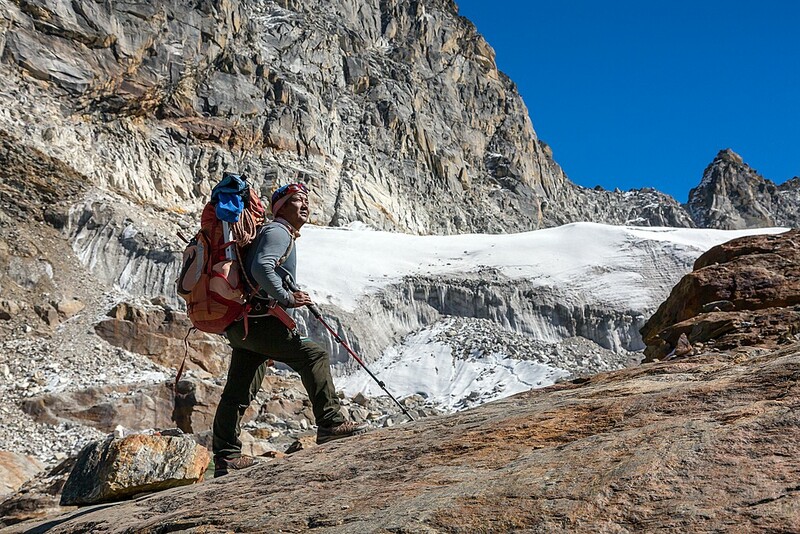 Trekking guides, in particular, are trained on issues such as first aid, altitude sickness, rescue methods, and more. The minimum academic qualification to gain a license as a trekking guide is a high school diploma; for tour guides, it’s a bachelor’s degree. Trekking guides must also work as porters for at least two years before they can apply for a guiding license. In addition, they must update their first aid training every two years. Certain tour operators and several of our specialists hold higher standards for their guides, requiring them to undergo yearly (or even more frequent) specialized trainings, from responsible travel practices to outdoor survival skills and pre-season refreshers. 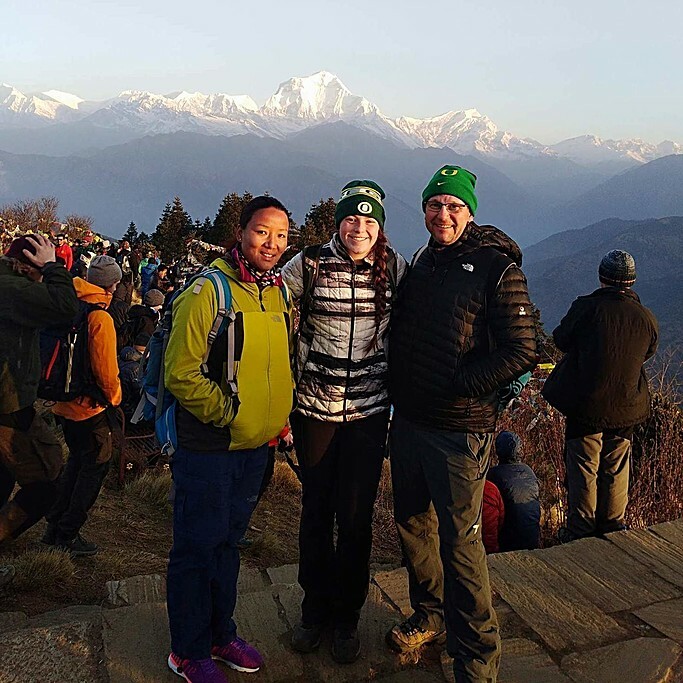 “A guide's role during a trip is not just to take travelers from A to B, but to make the whole process interesting, enriching and engaging,” says kimkim specialist Mingma Sherpa. So, aside from handling on-the-ground logistics like trekking permits, transportation, accommodations, and meals, “guides must be fully knowledgeable of the areas they are taking travelers to and always have safety at the front and center of their mind.” After all, your guide is the one who will know how to modify your trek or handle emergency situations if needed. Your guide is also the liaison between you and your specialist, providing frequent updates and passing along messages over the course of the trip. The minimum wage for guides and porters is fixed by tourism authorities—specifically, two lobbies in agreement: the Trekking Agencies’ Association of Nepal [TAAN] and the Workers Union. These rules are adhered to by tour operators, and reputable agencies often pay more than the minimum requirement. Salary also depends on experience, skills and knowledge, as well as group size and trekking area. That being said, the wages are still quite low compared to what western guides make, although some highly trained and experienced guides are paid more. Those who speak a foreign language and are internationally certified in wilderness survival can make between $50-$100 USD per day. Competition is high, so guides are willing to go the extra mile and invest in their own training and knowledge. For treks, you will meet your guide and a representative from the trekking agency at a briefing usually held the day before your trek begins. Your guide will outline the route and answer any trek-specific questions, and the office representative will provide a local contact number and other practical info like departure times and where to rent additional gear. For sightseeing, your city guide will typically meet you (and drop you off) at your hotel the day of your tour. Depending on how your trip is set up, you might otherwise be introduced to your guide earlier by your local representative or specialist. If you’d like to know who your guide is in advance of arriving in Nepal, ask your specialist once you’ve booked your trip. You can also make special requests, such as asking for a female trekking guide or a guide who speaks a particular language. Our specialists carefully select their guides as they understand the impact this choice has on your experience. Meet a few of the local guides that may be guiding your adventure in Nepal. Mingmar is from Solukhumbu in the Everest region and lives in Kathmandu. He's been a full-time trekking guide for Himalayan Trails since 2012 and guiding since 1989. 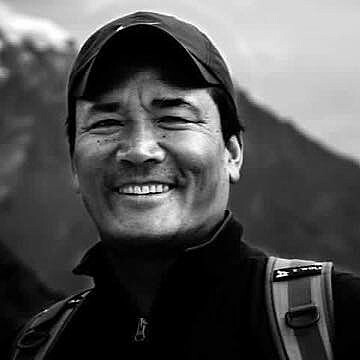 Mingmar has completed the Manaslu Circuit Trek more than 20 times and even summited Mount Everest in 1995. His favorite trek is Everest Base Camp. He has a son, Dorje, who is currently a porter and planning to get his guide license soon. 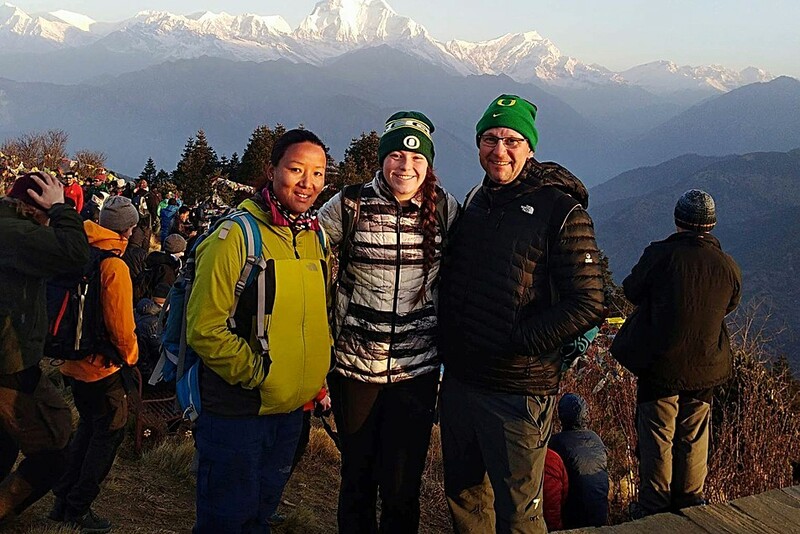 Jay became a trekking guide in 2010 after attending an outdoor leadership program where he and a small team trekked across Nepal for three months, carrying their own food, tent, and essentials. The experience gave him full confidence in "living, guiding and surviving in nature". Currently guiding for socialtours, he helped the team revise the Three Passes Trek into the Five Passes Trek—the most challenging trek he's ever done. Jay also loves sharing photos he takes of Nepal's beauty with the world. Growing up in Mugling—a town situated on the banks of the Trishuli River—Maila used to watch rafting guides and dreamed of becoming one himself. 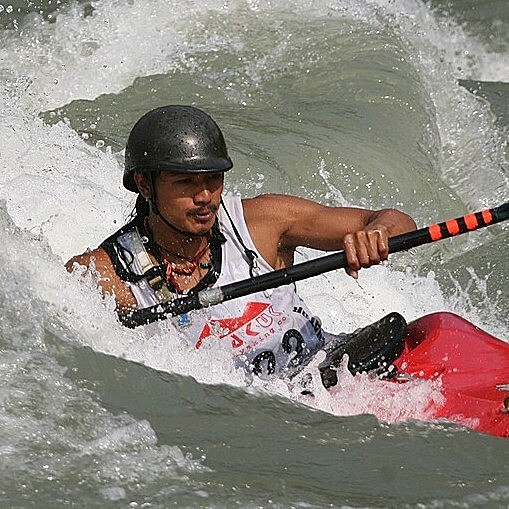 He eventually became one of the best kayakers in Nepal and has won the Himalayan Whitewater Championships three times. After river guiding for major companies in South Asia, he started his own in 2009 and now provides jobs for over 30 Nepalis. His favorite rivers are the Karnali and the Tamur because of their remoteness and mountain views. 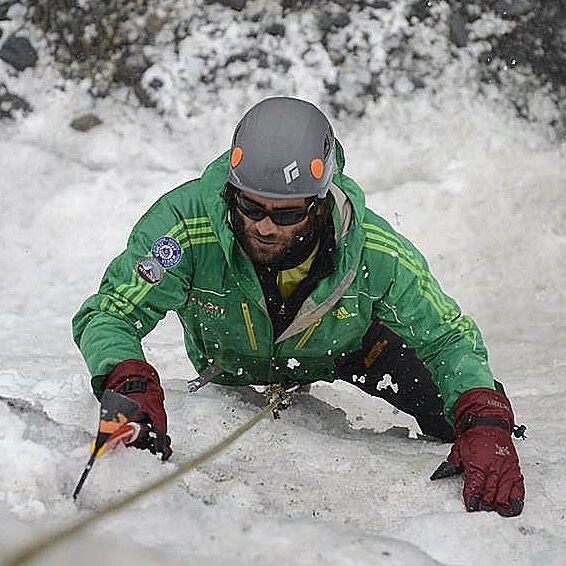 Born in Lukla, Everest region, Pema has been a trekking guide for nearly a decade and has been working with Nepal Myths and Mountain Trails for three years. 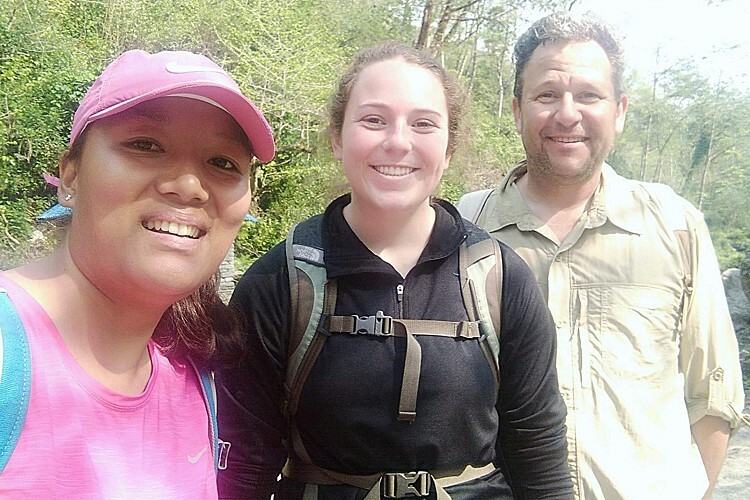 She has done many treks to Everest Base Camp and in the Annapurna and Langtang regions as well.